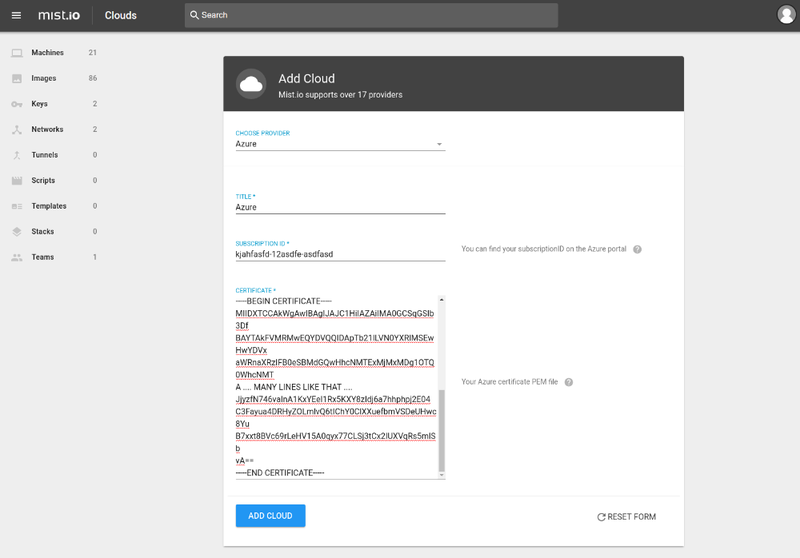 You will need to upload the azure.cer file on Azure and the azure.pem file on Mist.io. 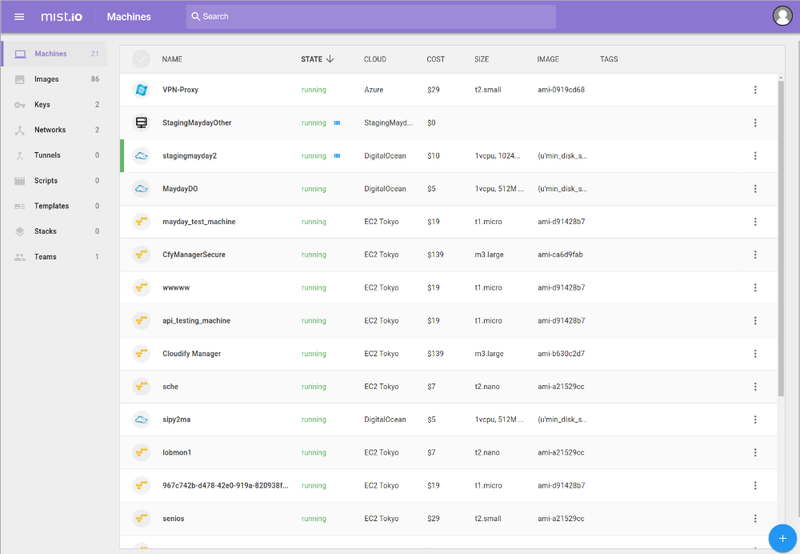 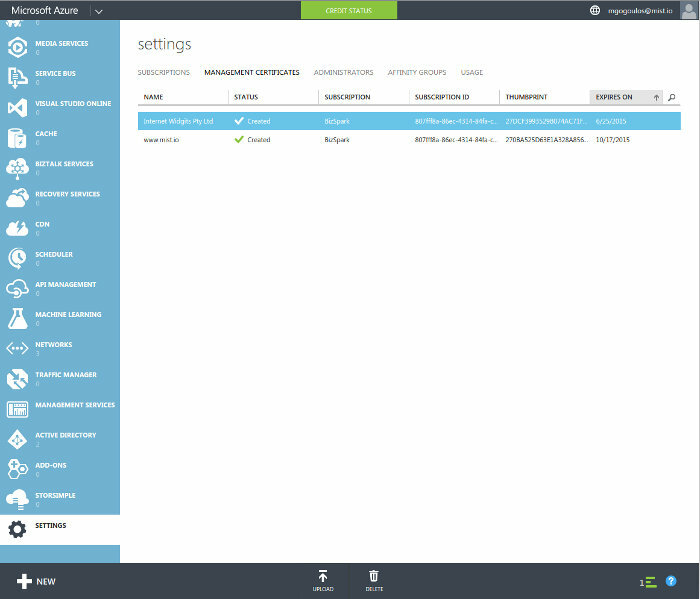 Now to add your cloud to Mist.io, select Add cloud and choose Azure. 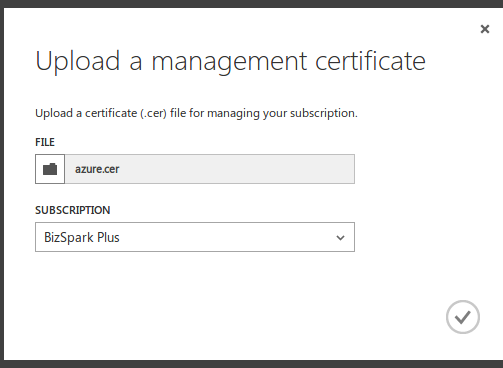 Paste the Subscription ID and on the CERTIFICATE fields paste the .pem file you generated above.